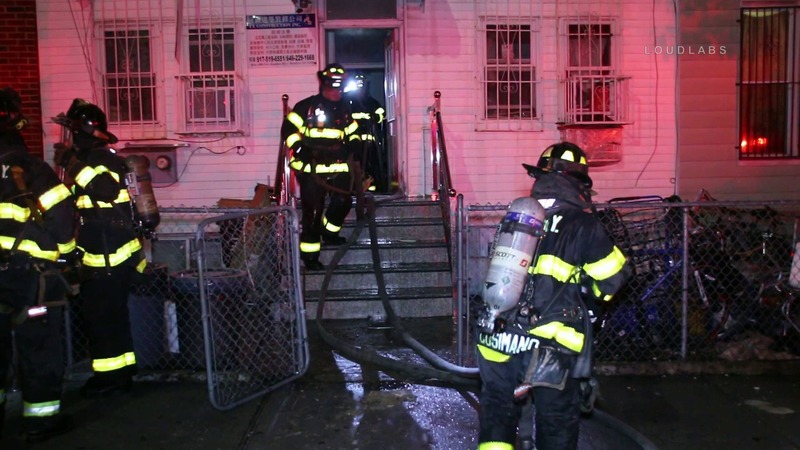 SUNSET PARK, Brooklyn – A fire broke out Friday evening at a two-story home around 8:45 pm at 704 41 St. A 11-year-old girl and a baby was seen being rescued from the fire by FDNY members and were transported in stable condition. The fire was brought under control around 9:15 pm. Cause of the fire is unclear at this time.